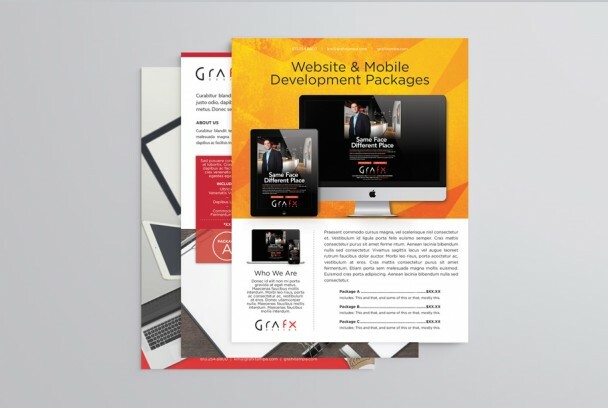 Assembling small "start-up" packages for clients, Grafx needed flyers to hand out. This is a collection of 3. Designed under Grafx Design of Tampa.